When it comes to market research, small business owners assume that they don’t stand a chance against big business. However is it more accurate to see this as a David vs Goliath opportunity? 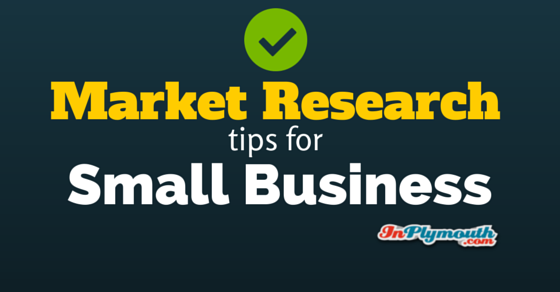 This article shows how small businesses can use market research. All successful projects start with clear objectives. What are you trying to achieve? How do you plan to get there? What are you testing? Clarify your objectives and deadlines and make sure you include any important background information. Make sure you know how quickly you need the information and also factor in how accurate it needs to be. Hasty research can sometimes produce superficial results. Poorly targeted research can sometimes mean the results you get are less useful than you need them to be. Concentrate on designing research which is all about giving you options. Alternatively, if you already have too many options, concentrate on research which will help you narrow those down. Your objective should be to enable you to make better decisions. This is important. The research methodology you choose will affect the results you get. Do you need understanding or numerical results? Choose the right type of research according to what your business needs. Sometimes it’s not about going out and conducting large-scale research. Sometimes it is more appropriate to dig deep into the information you already have. You can find a lot of relevant data from internal documentation, feedback from staff, checking any publications you subscribe to, social media, and of course the internet. It’s not all about surveys, opinion polls, and focus groups. Sometimes you need to conduct some experiments, observe, and test a few theories in order to find the data you need to make informed decisions. There are times when you can do it all in-house. At other times you may not have the skill set internally. At those times you may need to bring in expertise to help you. If you need to conduct large scale projects, it may be better to make use of external agencies or freelancers. Choose carefully, based on reputation and how well they fit with your organisation’s style and aims. There are times when the results of our research are not what we want to hear. Maybe your business is selling the wrong products, or that service you used to launch your firm is not selling anymore because people just don’t want it. Despite your sentimental attachment to it, it may be time to let it go and develop new ones. My business started as a classic graphic design agency (corporate identities, brochures, etc.) but markets changed and our expertise developed over time in different directions. We became known for web design and now also as social media experts. We’ve stayed in business over two decades because we know how important it is not to make emotional decisions in business. There is little as sad as research data that is never used. If it just sits in a folder on your desk or in a forgotten filing cabinet, you’ve not just wasted the time, money, and effort used to gather it, you’ve also wasted the potential good it might do your organisation. Sometimes it takes courage to actually use the results of your research, particularly if it isn’t what you expected or wanted to hear when you started. Your results are there to help you make actual decisions and plan actual strategy. Market research is an essential business tool. Most of us assume that it is only big business that can take advantage of it, but that is simply not the case. Small business owners have access to a vast array of research tools, both broad-based and ultra-specific. It is just possible that by keeping your finger on the pulse of your business and market, you will give your small business the unfair advantage it needs to thrive.